Kobo is having a huge launch event right now in NYC. I'm not there, unfortunately, but from the press release it sounds like Kobo has confirmed the several leaks and rumors we've heard over the past few weeks. Kobo launched a trio of new tablets, a new 6" ereader, and they also expanded their platform with a new partnership with Pocket and a new branch of their ebookstore. Kobo launched the 6" ereader that cleared the FCC last month. It's the new Aura, and there is no new Aura HD model just yet. The Aura comes with 4GB of storage, a Pearl HD E-ink screen (1024x758), frontlight, and touchscreen. Aside from a different exterior it is more of a replacement for the Kobo Glo than a follow up to the Aura HD. It's going to retail for $150 and is up for pre-order in the US and Canada. It ships on 16 September. And that's not the only hardware news today. Kobo also announced a trio new Android tablets today. One is the 10" tablet whose benchmarks leaked in July, and another is the Kobo Arc HD, and the third is an upgraded Kobo Arc with a quad-core CPU and a new lower price - $150. The Arc 10HD does have the 1.8GHz Nvidia Tegra 4 quad-core CPU mentioned in the leak, and it also has 2GB of RAM, a 2560 x 1600 resolution 10" screen, Wifi/BT, a single 1.3MP camera, and of course it has access to Google Play. Kobo is also boasting that thanks to a new "Reading Mode", the battery life is extended from 9.5 hours to more than 10 days. Retail will be a princely $400 and this tablet is expected to ship on 16 October. So Kobo is going to offer a mid-level 10" tablet at premium prices? Ballsy. It's a great way to lose money fast but I suppose that so long as they have a sugar daddy it doesn't really matter. Moving on to the rest of the hardware, Kobo is also launching not one but two 7" tablets, and one is more of a budget model. The Kobo Arc 7has the same 1024 x 600 screen, a MediaTek MTK 8125 1.2GHz quad-core CPU, 1GB of RAM, a VGA webcam, and a low price of $149. That's $20 more than the current Kobo Arc but $50 less than the old retail. And then there's the Kobo Arc 7HD tablet It has an Nvidia Tegra 3 1.7GHz quad-core CPU. a higher resolution screen (1920x1200), 1GB of RAM, a front-facing 1.3 MP, 8 hours battery life, and Wifi/BT. The Arc HD retails for $200 (16GB of storage) and $250 (32GB of storage). 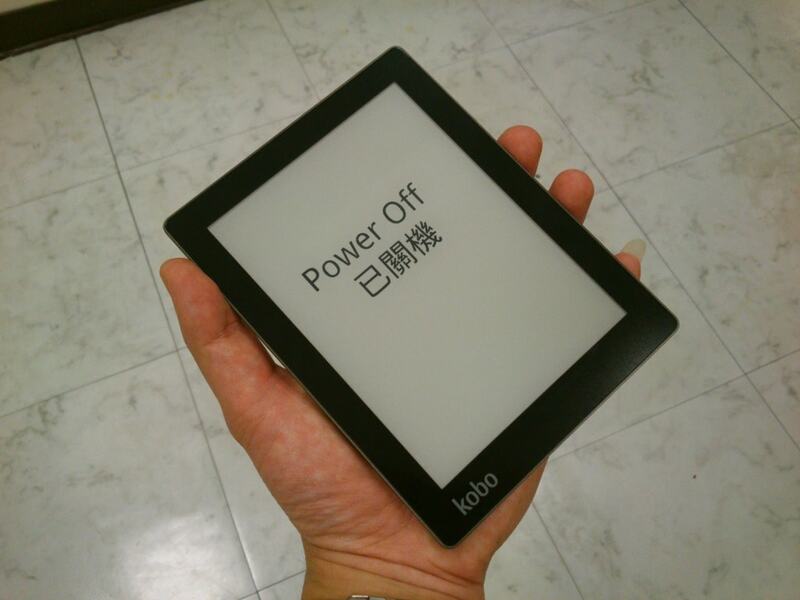 All of the tablets are expected to ship on 16 October, and that is potentially a serious mistake for Kobo. It's going to give Amazon a month and a half to come up with a better price/feature offer than Kobo launched today. 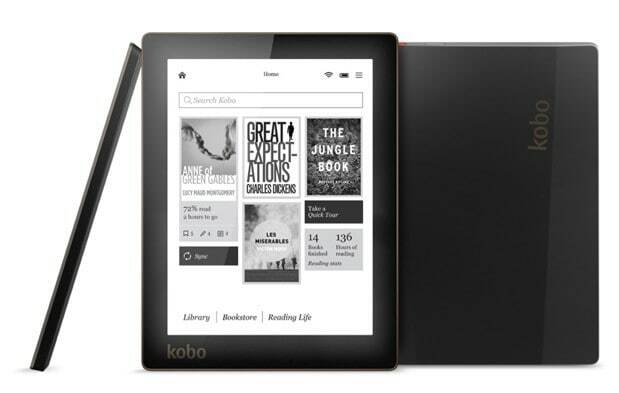 Kobo might also have goofed in setting the prices higher than the specs might support. For example, the new Arc 7 costs the same as the Hisense Sero 7 Pro but doesn't offer a Tegra 3 CPU or the cameras found on the latter tablet. But that is just a first glance comparison; the actual performance could make a difference. In other news, Kobo also announced a new partnership with Pocket. Now you will be able to send content from your Pocket account to your Kobo account, and then read it on your ereader. This is similar to the Instapaper/Kindle integration, only with a greater chance of failure because it's a brand new feature. Kobo has also announced that new magazine content will be coming to the Kobo Store, and that they plan to launch a new Kids section of the Kobo Store which will feature a limited and age appropriate selection of content. This is Kobo's answer to the concern many parents have about letting their kids have free range of ebookstores. Remember the Kindle erotica moral panic from last week? Here is a solution. They should have updated their best device: the Kobo Mini. They’ll probably keep it around. but I agree that it would have been nice if it got an update. I think the Kobo Mini didn’t get the attention they hoped for, which might have something to do with the Vizplex display. I couldn’t find any live photos up to this point (except for the leaked once). I’m curious about the screen. There seems to be a display glass, right? There is room in the market for players other than Amazon — and Kobo is quite happy being the “other” choice. If they have expanded the line of tablets, I’d conclude they had a good business case for it. Kobo focusses on a number of markets outside of the US. It’s worth noting that their business is growing strongly quarter after quarter vs. B&N which decided to stick almost exclusively to the US market (where Amazon is crushing it). Rakuten is also a very smart management: I’d expect that Kobo is growing on the basis of “success capital”. The things that are working for them, they invest in more; other things have to wait or are promoted only if part of the strategic vision. I have no way of knowing, of course, but I somehow don’t believe Rakuten has invested the 100s of millions that B&N has sunk into Nook (in ongoing losses); and then there are Nooks partners Microsoft, Liberty and Pearson who collectively have forked over $600M with Microsoft on the hook for another $300M. No way Kobo is swimming in that sort of cash. The Aura eink reader looks reasonably good. If the build quality and the software hold up they’ll do fine. Michael Kozlowski of goodereader was at the event and was hands on with the 10 inch Arc. He apparently thought that there was something special there. “The big draw about the Arc 10 HD, is that it is not a vanilla experience and doesn’t make me say “ho hum, another tablet.” Readers Mode, the Kids Store, Magazines, Beyond the Book, and other software elements make it a game changer. Sorry, but you can’t trust hands on experiences at these kind of events. There are too many distractions and you don’t really have enough time to form a real impression. You make a good point, Nate. Kozlowski wrote that his articles were written before the event. He waited until 7 PM to release them. Maybe he had a less frantic experience with it than you think. I just looked over the posts, and based on the lack of photos I don’t think he had any time with the devices before the launch event. Heck, he didn’t even post any photos of the Arc7 or Arc7 HD and yet he claimed to have put his hands on them. And are you really going to trust the word of someone who thinks he can “review” a device in only a few hours? That’s just not possible. Readers mode may be new; it sounds like a display-and-GPU throttle to squeeze out 15 hours of battery life. The rest of the stuff? Sounds a lot like what Kindle and Nook have been doing for a while. And I haven’t heard of many people saying they bought either for those features. Haven’t heard anybody hyperventilating over the new Kobo tablets, either. The price/value equation is nothing special; it’s not bad but there’s dozens of Android tablets out there that aren’t bad. For a second there I jumped from my chair when I thought the headline said Kobo would be launching a new 7″ereader. Well, the Aura HD it is then. After I read about the disappointingly mediocre new reader by Sony, without something basic as frontlighting, I already decided to switch to Kobo. Yes, I was surprised that they didn’t relaunch it with a new shell. That is the one thing I dislike about the Aura HD. Except we don’t have any way to know for sure that he spent a few hours with it. All of the photos look like they were taken at the event with the tablet always in someone else’s hands. That’s not a good environment for a “review”. It may come to that, again. The CNET reports carry a couple of hints that the new post-Pearl eink screens might bd Kindle exclusives. Specifically, a comment is made along the lines of “somebody is going to be using the next-gen eink screens but it won’t be Kobo”. Sorry but Pearl was found first on Sony. Sorry Nate, I don’t know why your name is where mine should be. It’s probably a WP bug of some kind. Okay, so I’m a bit confused about the specs here. The current Kobo Arc 7″ has a screen resolution of 1280×800 (http://www.kobo.com/koboarc/techspecs/), but the new one is only going to have a 1024×600? (http://www.kobo.com/koboarc7#techspecs). Isn’t that a bit of a step backwards? I mean, wasn’t that what the old Vox had two years ago? Not to mention the first generation Kindle Fire? I might also point out that Amazon will be packing the same amount of pixels into their HD8.9″ Fire that the 10.1″ HD Arc will sport, making it a non-contender right out of the gate. Not that its 300 ppi display is anything to scoff at, but when you’re also sporting a $400 price tag you don’t want to antiquate yourself before the product is even released.